Commercial interior design trends come and go but some design schemes have definite staying power. One of the most enduring and appealing designs for commercial interiors is undoubtedly the retro or vintage theme. Some cafes and restaurants embrace the full 50s American diner look with primary colours and lots of chrome. But retro can also include everything from cool, mid-century modernism, to the industrial metallic designs of the 80s, and the more recent trend for eclectic shabby chic. Others go for a mixture of different retro styles, mixing and matching to create inviting – and Instagramable – spaces for their customers and guests. Whatever your particular retro preference – Warner Contract Furniture can help thanks to our wide range of high quality, competitively priced commercial furniture. All of our products are built to contract standards. We offer discounts for bulk orders and because most of our furniture is stocked in the UK, we can offer superfast delivery. 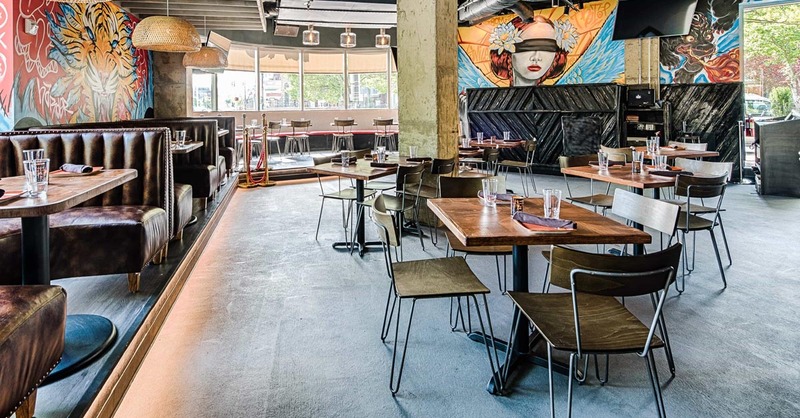 So, if you’re thinking of updating the look of your cafe, restaurant, bar, club, hotel, conference or leisure centre, then here are a few ideas from which might help to get you started. 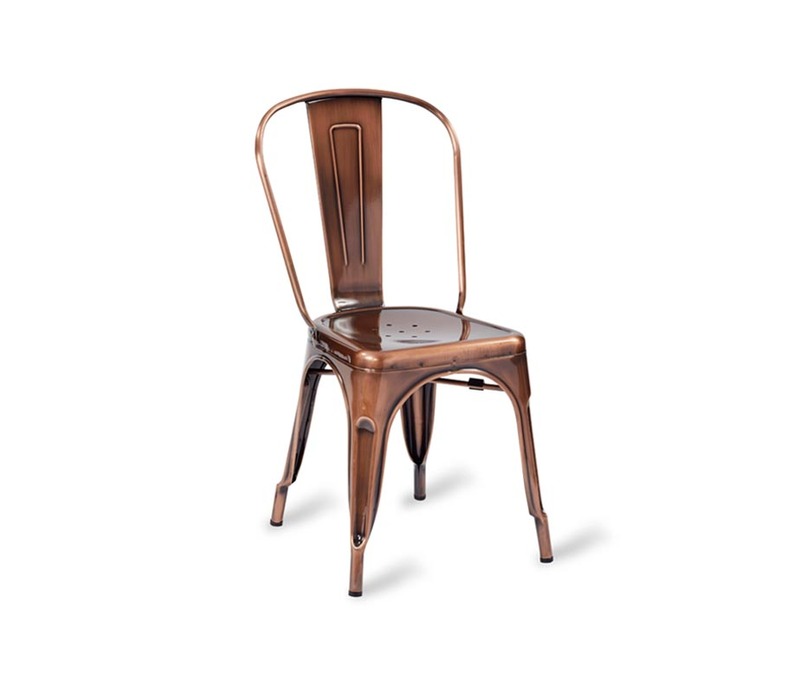 One of our best-selling chairs is the Paris Industrial Cafe Chair – and it’s easy to see why. The sturdy Paris is made from quality steel and comes in three colours: a grey powder-coated finish, a darker gun metal grey, and a vintage copper finish. All three colours can be matched with a variety of different table styles to provide a classy retro look to any cafe, bar or restaurant. 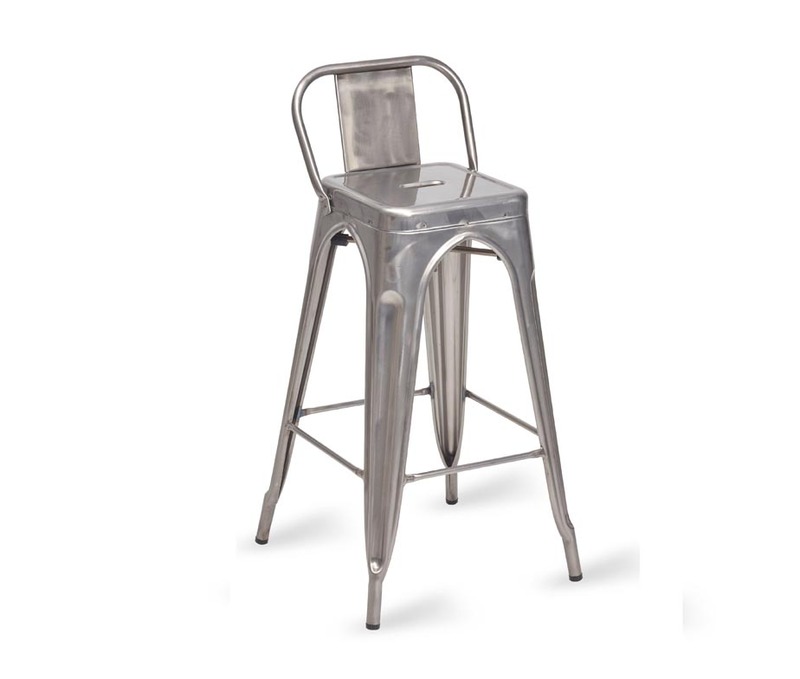 The Paris range includes matching high and low bar stools. The Paris High Stool stands 765mm high and is available in grey, gun metal grey, vintage copper plus a polished copper finish. The Paris Low Stool has a height of 455mm and comes in grey and the darker gun metal grey. Another very popular choice in our range of cafe chairs is the Trieste Vintage Retro Chair and matching Trieste High Stool. Sporting a look that combines memories of old school chairs and industrial chic, the Trieste will complement most retro-designed cafes and bars. It’s a classic design made with a strong steel frame supporting a dark wood-veneered seat and back both of which have a contract lacquer finish. 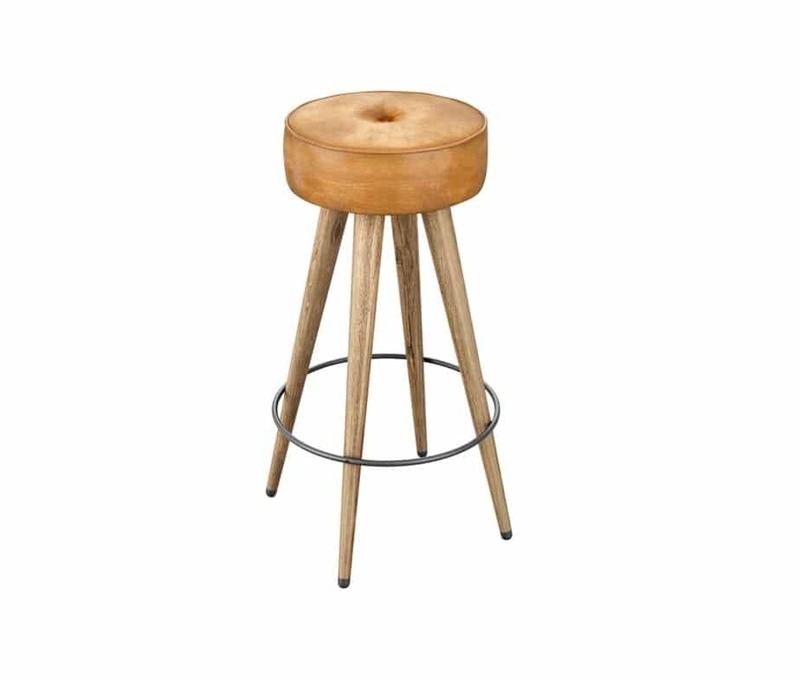 The high stool stands 745mm high. Our Milo Vintage Dining Chair has the streamlined look of 1950s Americana with contoured seating and tapering legs. It’s practical and versatile enough to fit in with many retro restaurant and bar design schemes. 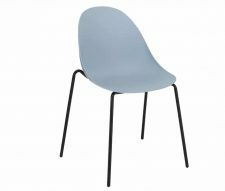 Another eye-catchingly stylish retro option is our Zeta Vintage Dining Chair. Featuring a hard-wearing metal frame and upholstered leather seat, the Zeta blends the best of contemporary and retro design and looks good in cafes, restaurants and bars. The 60s may have been a wild decade but they also saw the introduction of classic furniture design that has stood the test of time. 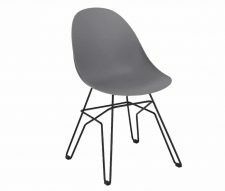 Upholstered leather chairs supported by elegant metal legs add a touch of class to any retro themed restaurant, hotel, or bar. We have three effortlessly elegant leather dining chairs that offer comfort and durability with a dash of 60s charm. You can imagine Sean Connery’s James Bond sitting in any of them in a hotel lobby or restaurant, before dashing out to his Aston Martin. First up is our Vintage Leather Dining Chair, with its distinctive and classy upholstered seat in mid-brown leather. 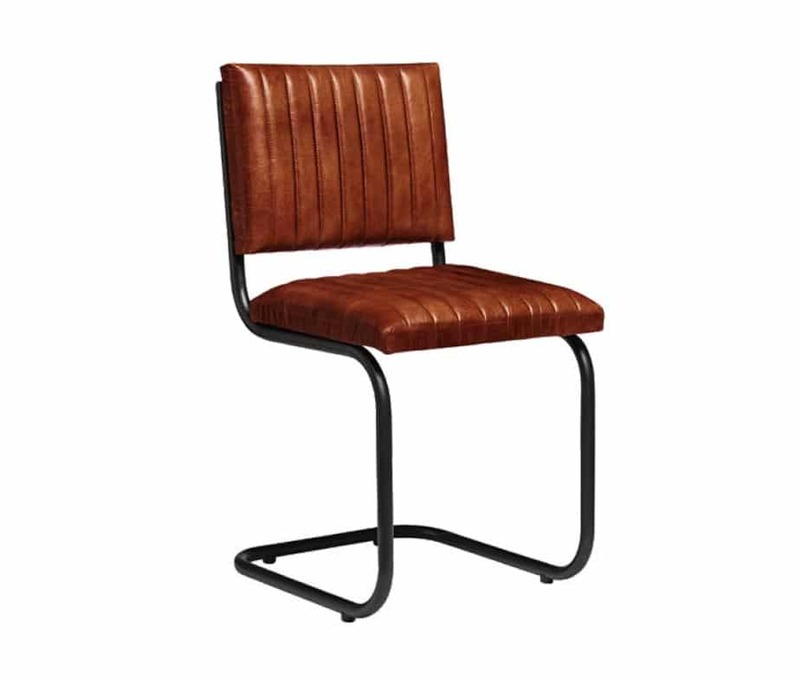 Then we have our Classic Leather Dining Chair which sports a stylish seat of tan leather. 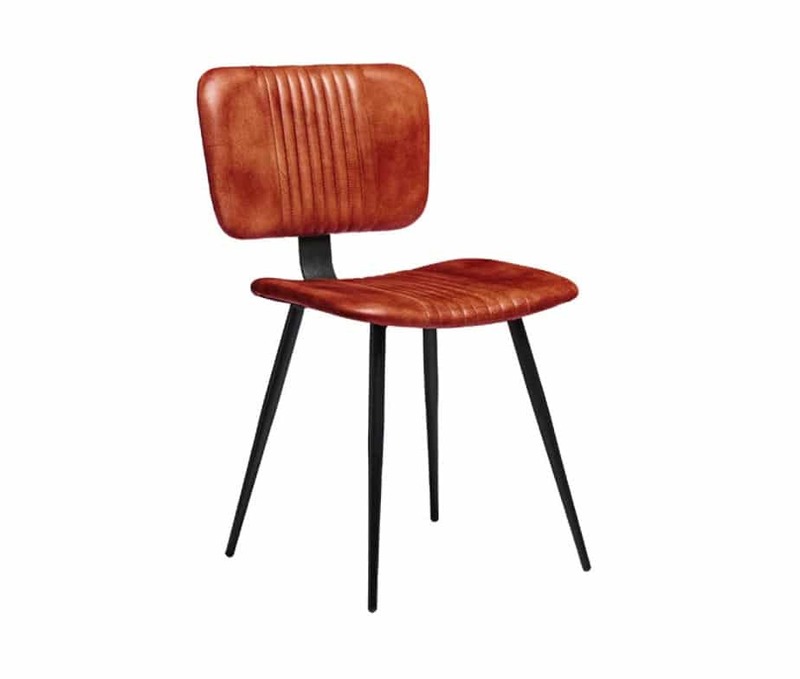 And our Retro Leather Dining Chair offers a more funky variation with its horizontal ‘corrugated’ leather seat. 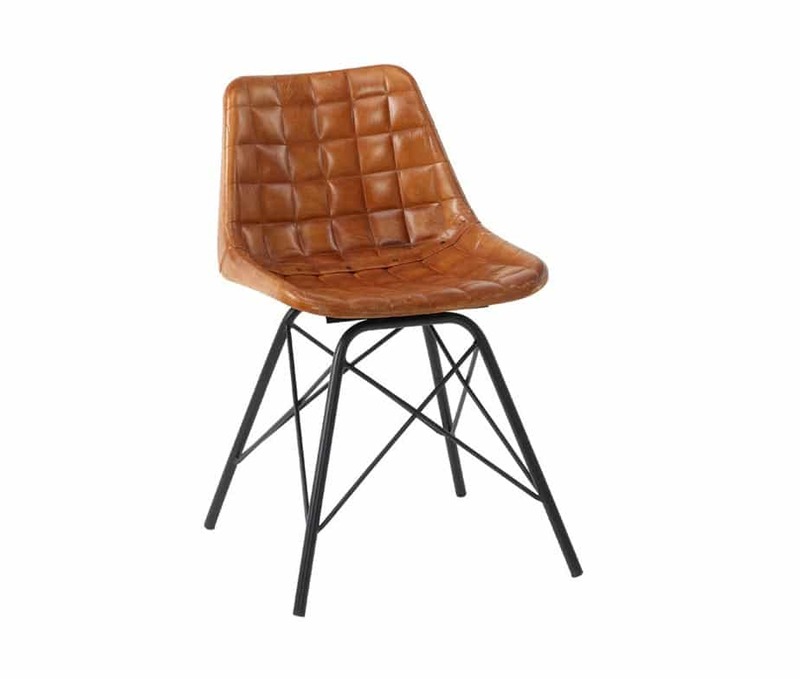 To complement your retro theme we also offer Vintage Leather Bar Stools (height 790mm) which look great in a line at a bar as well as arranged around a poseur table. They even look good in a retro themed cafe. The deep upholstered cushions provide the perfect perch for your customers. 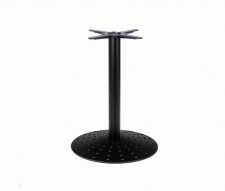 Of course, if you’re looking at chairs for your customers you’ll probably also be interested in our range of commercial tables and table bases as well as table tops, especially if you are serving food. Our Trieste Dining Table Legs were designed to complement our Trieste Chairs and Stools (see above) and can fit in with a wide range of vintage or retro themed bar, cafe or restaurant interiors. 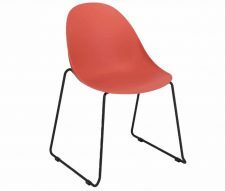 The legs are 720mm high and are sold in packs of four. 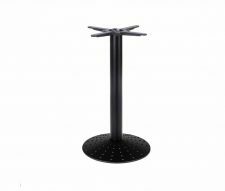 We aslo have a wide range of table tops that you can match the legs to, depending on your particular design theme. 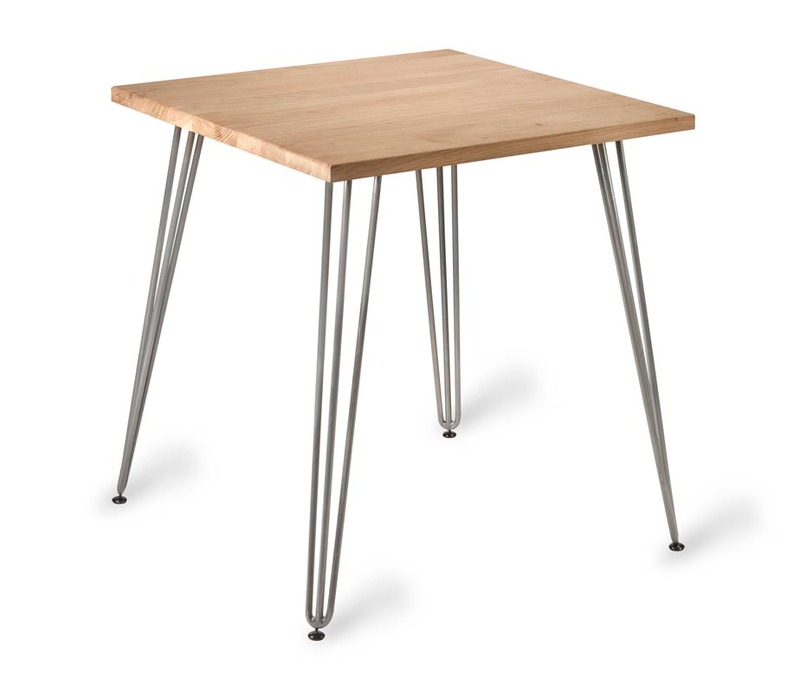 Options include laminates, solid wood and polished metal table tops in a number of sizes and in round, square or rectangular shapes. Warner Contract Furniture sources a broad and diverse range of commercial furniture to suit the needs of the hospitality industry. Our sales team have the expertise and knowledge to help you find the very best furnishing solution for your bar, cafe, restaurant, hotel or activity centre. We are continually adding new products to our website but would love to hear from you if you can’t see exactly what you’re looking for. We have long-standing relationships with furniture manufacturers and an expert in-house team that will rise to the challenge. Our standard delivery time is just 3-5 working days as most of our stock is sourced within the UK. This is fast but we can deliver an even faster turnaround for customers who are working against the clock. Our express service takes just 24 hours – although our current fastest record is an amazing 18 hours to kit out a cafe. Call our sales team today on 0161 408 2390 or email our sales department sales@warnercontracts.com. We are happy to discuss your requirements and give you a quotation.